Facts and opinions are often uttered in the same breath; the terms have a huge difference in their meanings. Whether a statement is a fact or an opinion depends on the validity of the statement. 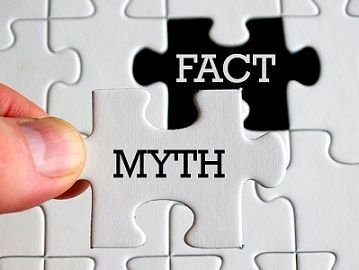 While a fact refers to the something true or real, which is backed by evidence, documentation, etc. On the other hand, opinion is what a person believes or thinks about something. In finer terms, a fact is a proven truth, whereas opinion is a personal view, that represents the outlook of an individual, which may or may not be based on the fact. In this article excerpt, an attempt is made to simplify the difference between fact and opinion, take a read. Meaning Fact refers to something that can be verified or proved to be true. Opinion refers to a judgement or belief about something. Based on Observation or research. Assumption or personal view. Words Shown with unbiased words. Expressed with biased words. Influence Facts has the power to influence others. Opinion does not have the power to influence others. The fact is something, that has actually taken place or known to have existed, which can be validated with pieces of evidence. They are strictly defined, and can be measured, observed and proven. It refers to something that makes statements true and used in connection with research and study. A fact can be an event or information, based on real occurrences which can be tested through verifiability, i.e. they are supported by proofs, statistics, documentation, etc. Therefore, a fact is nothing but a verifiable truth or reality which are agreed upon by consensus of people. The term ‘opinion’ is defined as the personal view or judgment about a subject, that may or may not be substantiated by the facts or positive knowledge. In other words, an opinion is an inconclusive statement, used in subjective matters, which cannot be proved true or false. It is what a person thinks or feels about something or someone. Hence it is not a true but biased information. Opinion is highly influenced by a person’s feelings, thoughts, perspective, desires, attitude, experiences, understanding, beliefs, values, etc., which cannot be tested by concrete evidence. Therefore, due to individual differences, every person’s opinion on a particular matter is also different. The fact is described as the statement that can be verified or proved to be true. Opinion is an expression of judgment or belief about something. Fact relies on observation or research while opinion is based on assumption. The fact is an objective reality whereas opinion is a subjective statement. Facts can be verified with the help of evidence or statistics. On the contrary, opinion is not supported by any evidence. Facts explain what actually happened. Unlike an opinion, that represents a perception about something. One important feature of the fact is that it is universal and does not differ from person to person. As against this, every human being has a different opinion on a particular subject and so, it varies from one person to another. Facts are shown with unbiased words, however, opinion is expressed with biased words. Facts can change anybody’s opinion, but vice versa is not possible. Facts are real information and so it cannot be challenged or debated, but if we talk about opinions, they can be debated. Therefore, to know the reliability and utility of an information or statement, it is vital to understand the differences between fact and opinion, so as to evaluate things and draw conclusions. While reading comprehension, it is hard to identify, whether a given expression is a fact or an opinion, as they are quite commonly juxtaposed by the writers. Facts are always one step ahead of opinions as facts can be proved to be right or accurate, whereas opinion may also be right but they cannot be proved as true. The information is clear and well explained.